A year today I will turn 30. I’m quite okay about this, many of my friends have passed this milestone already so the idea isn’t bothering me in the way it is some of the people I went to school with. That said, I had all sorts of plans made for what I would have done and where I would be in my life by the time I turned 30 and it’s pretty safe to say it’s unlikely following my health problems and change of path that I will achieve any of these plans. I decided I had two choices, I could either spend the coming year bemoaning things I couldn’t change or I could follow the example set by the lovely ladies of The Big Zeroes and draw up a list of things I was going to do over the year. 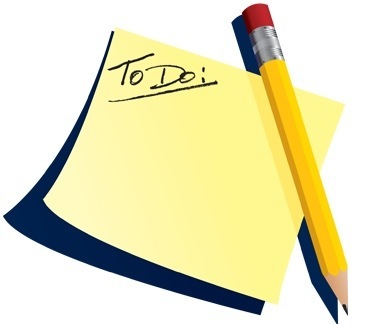 It didn’t take much time to choose the latter, so here’s my list of things I plan to do. Attend a Doctor Who Convention. Meet some more of the wonderful people I know online in real life. Learn to play my beautiful guitar properly. Start writing a journal again. Do a taster horse riding session. Complete my catch up with The West Wing. Read a version of the Mabinogion. Find something active that I enjoy doing, and do it regularly. Listen to at least one new (to me) band a month. Write and send more snail mail to friends. Complete a Welsh language course. Go to at least one gig. Watch one as yet unwatched classic movie a month. Finish a craft project for myself rather than as a gift for someone else. Go on at least one day out with the sole purpose of taking photographs. Try out a new recipe once a month. Go to a live sports event. Go somewhere nice for afternoon tea. Master the art of wrapping presents nicely. Get organised and use a diary properly. Read one non-fiction book every month. Catch up with all of the podcasts languishing in my iTunes and then keep up to date with them. Be better at keeping in touch with the people who are most important to me. So there we have it, 30 things to keep me busy throughout 2012. I’ll try and do a monthly post about what I’ve been doing towards the list. Previous Post My Five Favourite Books of 2011. Next Post Fiction Expresss Monday : Falling Backwards by Jenny Ryan – Chapter 5. Great list! Hope you complete most of them. In reference to number 1, have you been to the Doctor Who Experience in London? Thank you 🙂 Yes we went last year for my friend’s birthday, had a great time. I think we were more excited than most of the kids that were there! I turn 30 in a few months! I think I might steal some ideas from your list to try and cram in. I’d also love to go to a Dr Who convention! The Doctor Who convention is one of the things I’ve got booked in to my diary, Starfury are running one in June. Will it be a literary tattoo? Did you buy tickets to the Olympics? I’m not sure what the tattoo’s going to be, chances are it will either be literary or musical. I didn’t buy tickets for the Olympics, I decided I’d rather enjoy it at home than have to deal with the crowds. I think I’ll probably end up going to see a cricket match for my live sporting event though I’d love to go to Wembley to see the NFL game that’ll be played there in the autumn. Ooh. I’m in the process of writing a blog post about literary tattoos after it came up in a book I read recently (a character in Lola and the Boy Next Door had a Where The Wild Things Are inspired tattoo!) and I just can’t stop thinking about them! I love the IDEA of them, but I don’t think I’d ever actually get one. Because of the pain. I’d love to see an NFL game too! Sometimes they have basketball/American football games on at the 02 arena, but the tickets are so expensive that I haven’t managed to convince myself to go just yet.